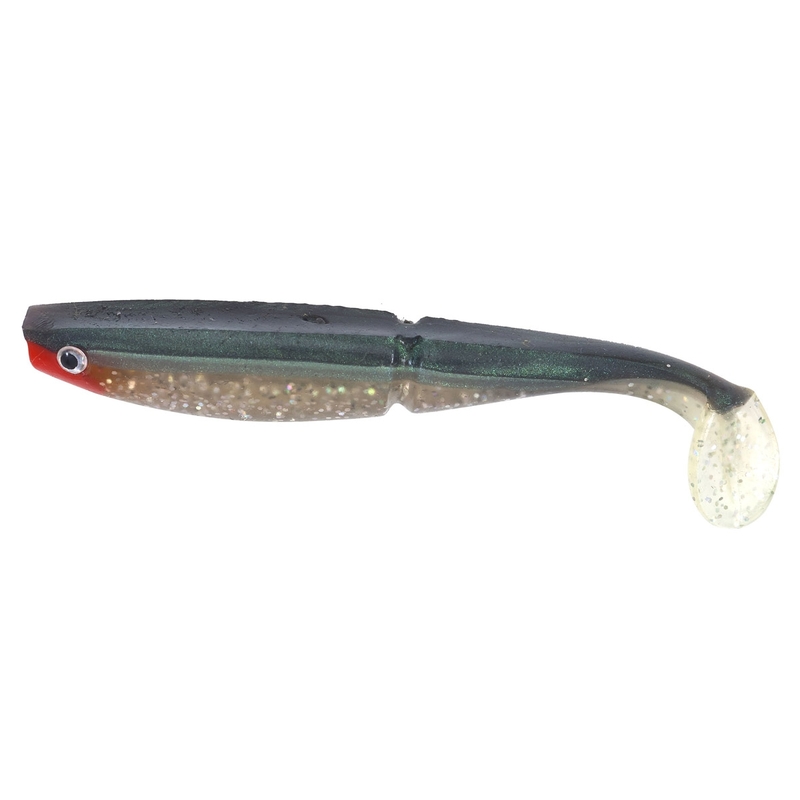 A Paddle Tail (PT) Shad, dual-poured in super-soft plastic to provide a realistic, twin colour back and belly with life-like 3D epoxy eyes, as a ‘trigger-point’ to predatory fish. A recess around the rear of the body, coupled with a thin base to the paddle-tail, ensures the tail gives a tantalising action and vibration, even with the slowest of retrieves. The belly has a full-length ‘hook-slot’, into which a weedless hook will sit, neatly when fishing the lure Texas style or with ‘drop-shot’ or Carolina rigs. Alternatively, fish it with a Stinger Jig-head to emit strong attractive signals even on the descent.